Updating of DC registers, Petty Cash Management. Confidentiality of the documents which are sent to warehouse. Collection of cash & cheques for payment against delivery and safe dispatch to office. 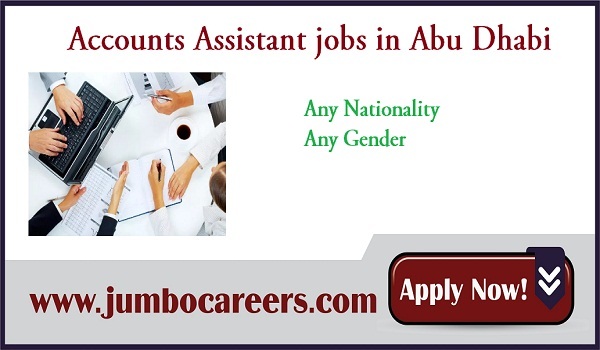 How to Apply :- Latest Accounts Assistant jobs in Abu Dhabi- Apply Now.